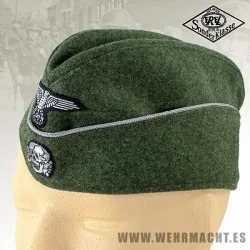 Waffen SS M40 Feldmütze, reproduction made in Germany by Robert Lubstein EREL with the high feldgrau wool quality, silver braid piping and cotton linner with markings. 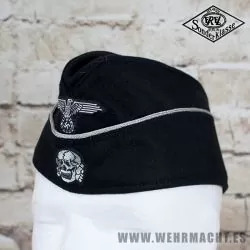 The caps are sold with skull and eagle already sewn on. 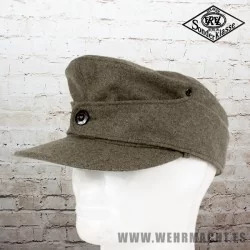 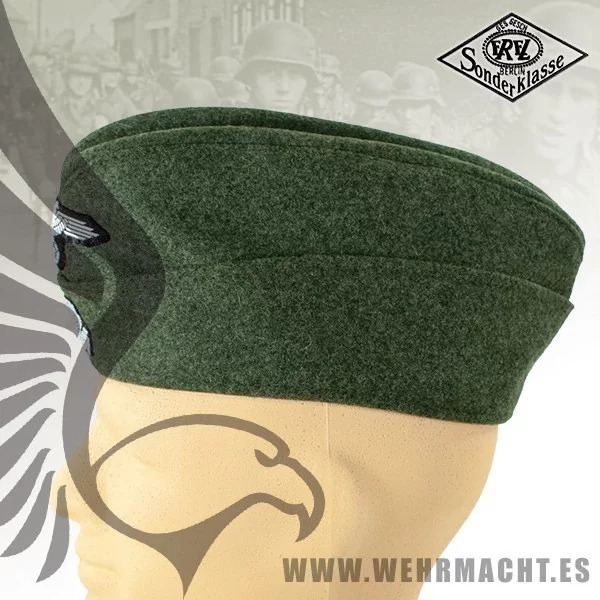 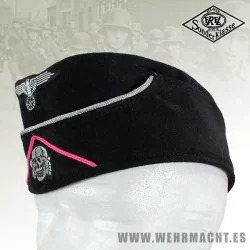 This field cap was adopted to replace the old M34 style Verfügungstruppe field cap in late 1940. 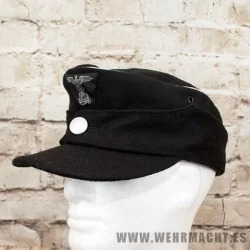 On first glance, it is similar to the Fliegermütze of the Luftwaffe, but on closer examination, a major difference emerges. 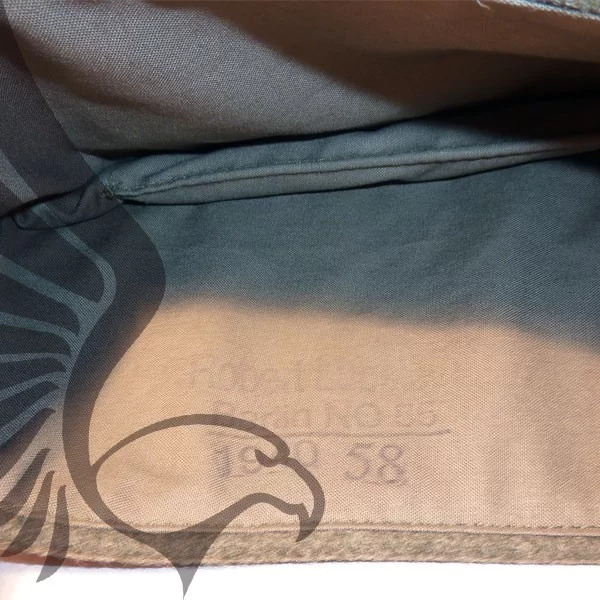 The lower edge of the Luftwaffecap is straight, but the SS cap has a pronounced downward curve toward the rear. 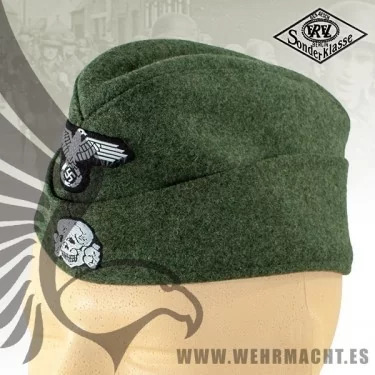 This produces a "tail" effect on the back of the head (see photos below and at lower right). 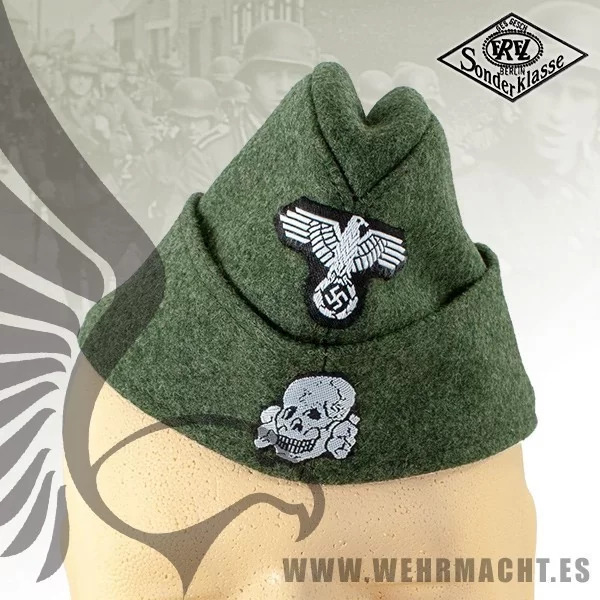 Insignia included.